Sticky Rice! It’s what’s for dessert. Mango season! It’s the time of the year I LOVE. At least now I can get my mango fix. Even though mangoes here are much less varied than in Thailand, it’s better than nothing at all. 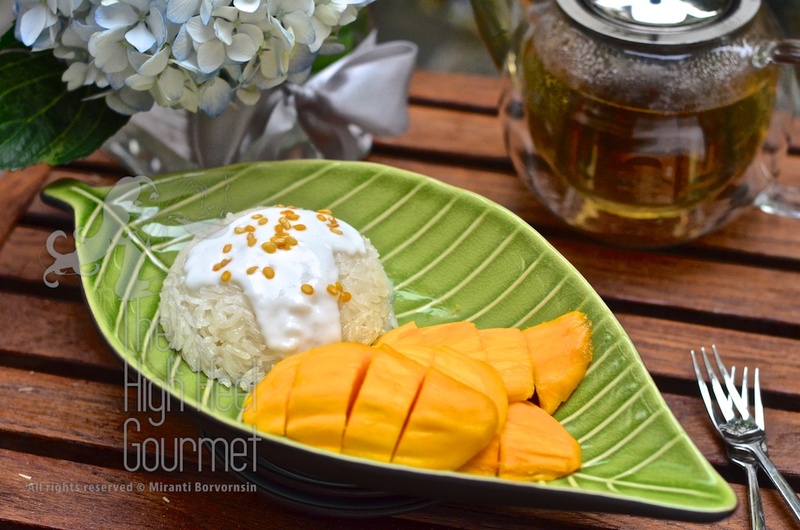 I’ve gotten several requests about how to cook the sticky rice that is normally served with mangoes in Thailand, and also here. You know, this is a food combination that I totally disagreed with since my childhood all the way until now.